Join For Now for a night with your best gals to make rose + dried flower smudge sticks with local brand, Buddha Box while sipping on some complimentary calm juice (wine). 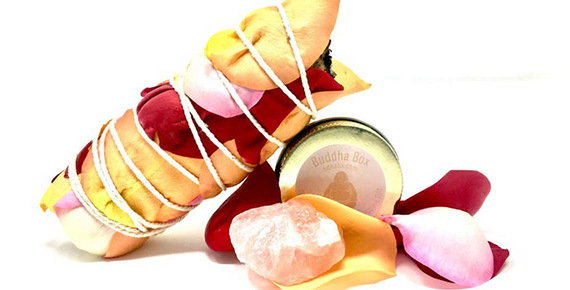 Founder of Buddha Box, Maren, will walk you through the meaning behind smudging, how to create your stick and then what to do at home to generate the good vibes. Each stick will last many smudging sessions! On this night Buddha Box will also be launching her CBD oil. Learn about and try this topical ingredient and why so many people are using it.